I recently completed a poetry manuscript entitled A Bound Woman Is a Dangerous Thing. Many of the poems detail the violent consequences black women endure while engaged in individual and collective acts of protest and resistance. My grandmother’s picture and a poem honoring her, “Shut Up In My Bones” opens my manuscript. During her lifetime the Jane Crow styles of oppression were careful to include violence for accessing civil liberties. These forced social constraints affect one’s mental health. They incite mania, mental illness and tend to fracture a wise woman’s mind. My grandmother was an avid reader and is rumored to be the smartest of her siblings. She married at age 18 and was the only one of her siblings that didn’t attend college. This haunted her. She talked about it all the time. This digital poem, “Shut Up In My Bones”, is a remix of the original poem I wrote. This “Shut Up In My Bones” Remix is a conceptual work about my grandmother and the life we share. I hope you enjoy it https://vimeo.com/229607638. (1) The first three minutes of the remixed poem are sparse. Please be patient. (2) The second portion of the poem conceptualizes the high mental acumen my grandmother had. It is a space that relies on public discourse, memory, inter-generational collectivity, self- reflection and joy. (3) The last few minutes of the poem is a space for reflection for the “reader.” Feel free to take as little or as much time as you want with the last portion. I am forever grateful to Mammoth Publications and Denise Low-Weso for always supporting my work. Thank you for providing a platform for this digital poem, this remix. PAYPAL Special web rate $9.00, single copies, domestic shipping free. Email mammothpubs@gmail.com and mention this rate for multiple copies. 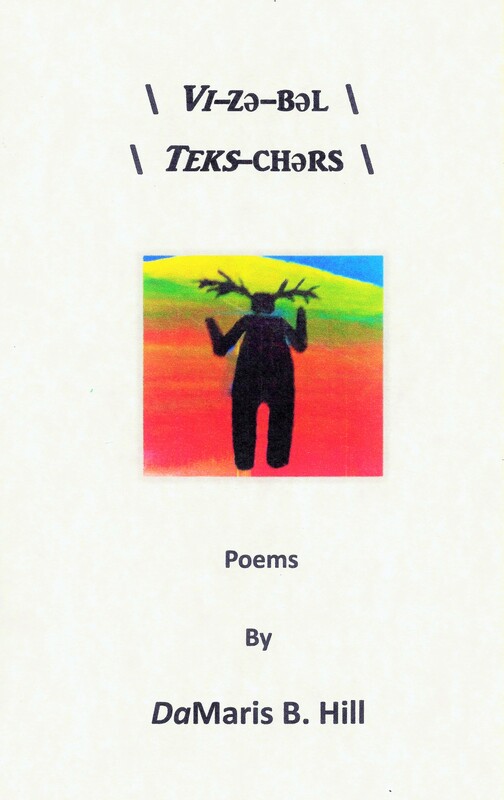 \ Vi-zə-bəl \ \ Teks-chərs \ (Visible Textures) is a chapbook project of poems that incorporate digital humanities methods in creative expressions. The poems are inspired by GPS technologies. The series contrasts details and physical spaces associated with an 1854 Indian Reservation map of Kansas and a 2013 highway map of Kansas. Some poems detail territories allocated to Indigenous American Nations. 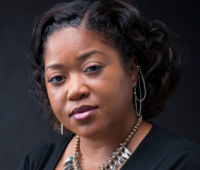 DaMaris B. Hill has a keen interest in the work of Toni Morrison and theories regarding“rememory” as a philosophy and aesthetic practice. She is inspired by the anxieties of contemporary existence that are further complicated by fears that some linear narratives of history fail to be inclusive, stating “I belong to a generation of people who do not fear death but are afraid that we may be forgotten.” Dr. DaMaris B. Hill serves the University of Kentucky as an Assistant Professor of Creative Writing and African American and Africana Studies. DaMaris, Thank you so much for sharing this arresting dialogue…or so it seems to me. This is a densely textured testimony to her legacy, to her in you. It has re-ignited my fierce respect for a mother who sang to us, read to us all manner of books, along with her poetry which she slipped in front of us without speaking of it.